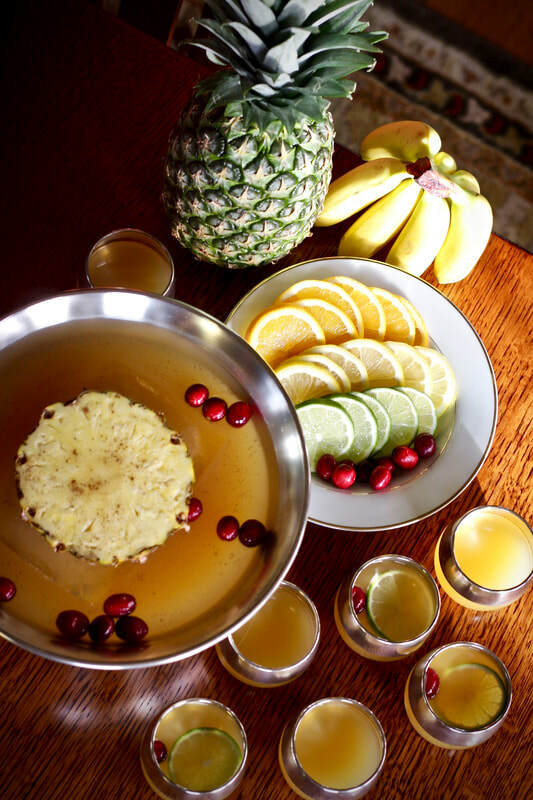 Combine all ingredients in punch bowl or pitcher and mix thoroughly. Chill before serving and garnish with citrus wheels, pineapple chunks and a dash of allspice. Cheers!